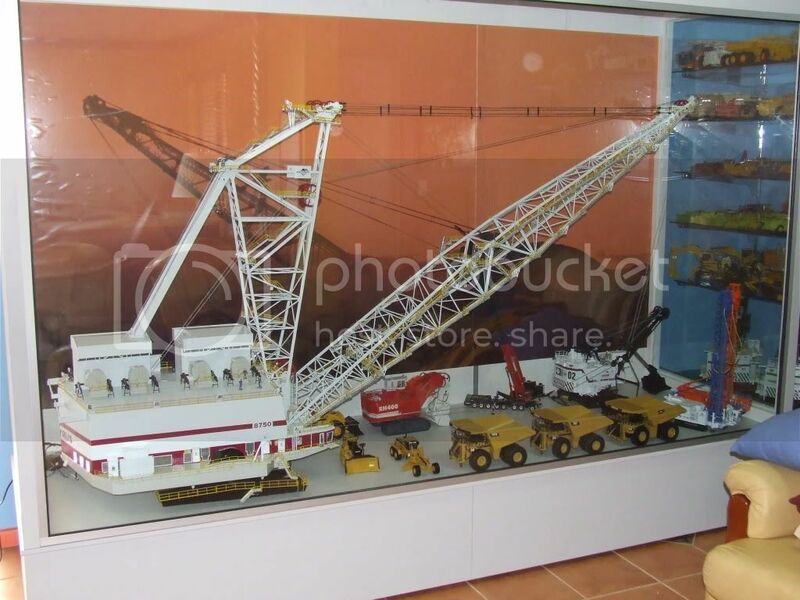 A little project from yesterday,I helped fellow forum member Footloose52 move the huge 8750 dragline into it`s new home.We added a few other models for size.Everything is 1:50 scale.There is even a black and red lifting thing so Bobm does not feel left out. Thats all for now.More pics to follow once the Big Muskie is built. 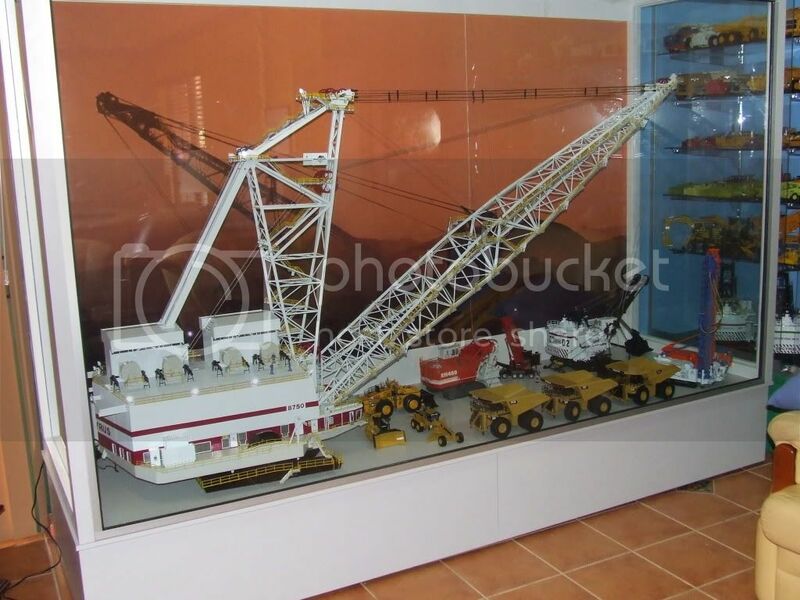 That is insane, you could operate a miniature mine with that! 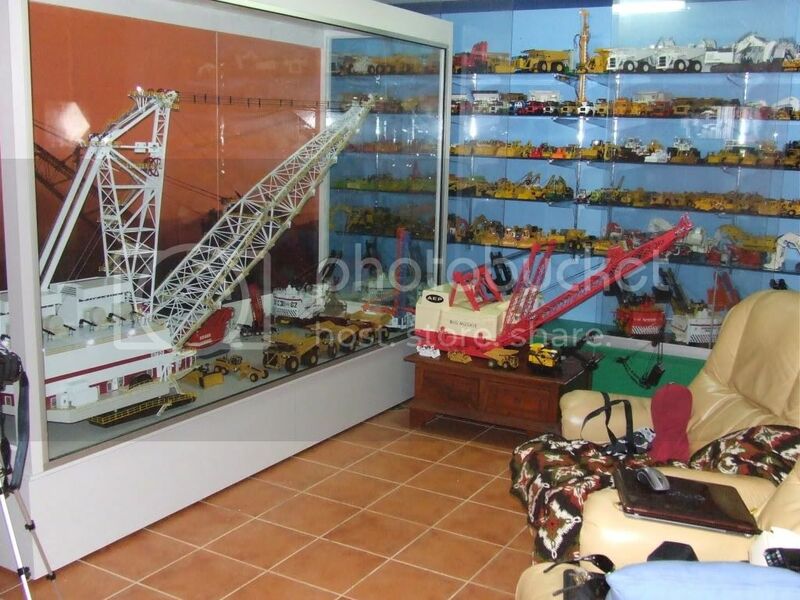 I really like the display cabinet too. It is great to see this model in its final resting place. It is an awesome machine and I was so luck to be able to help Peter assemble it in his home. The three of us must get together sometime. 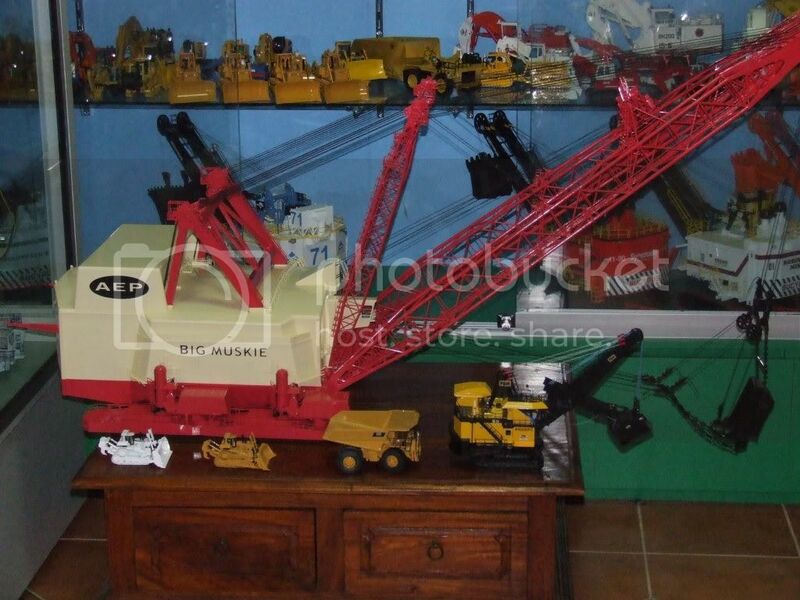 And so the 8750 does not get to lonely it is joined by The Big Muskie.It is in 1:87 scale along with the machines beside it.The dozers are D11`s. AAAAH, I´m getting a heart attack. That´s too much for me in the early morning. Nice stuff Shaun, i visited a collector yesterday to view his 8750 and it is an impressive bit of gear, no question. He too has a Muskie and i feel very priviledged to have been able to get about as close as i can afford to them!!! OMG is that a D11 or D10 in front. What I can't get over is how small the Big Musky makes the 797b look in the second last picture. And they are to each other the right scale, both 1/87. Muskie could swing in the order of 350 ton a bucket so basically a 797 size load each time. 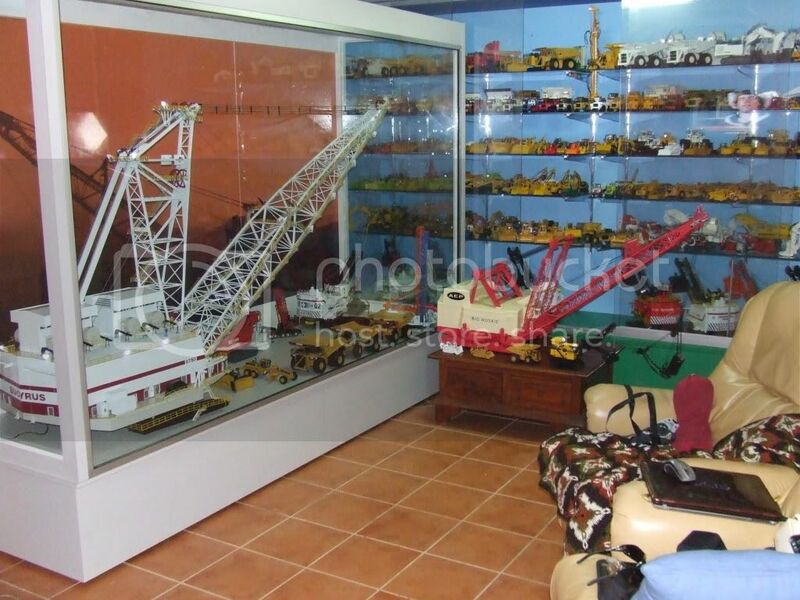 What a beautiful collection of mining & dirt equipment. 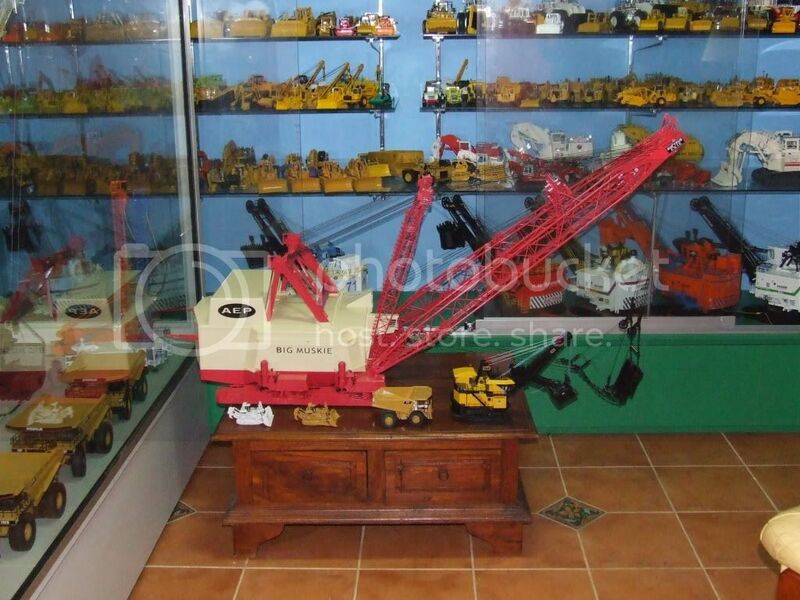 I do see at least one crane (AC500) which would be needed for the assembly of those big beasts! I wish I had the room for the 8750, I would have bought one. Thanks for the all the pictures. Fantastic! 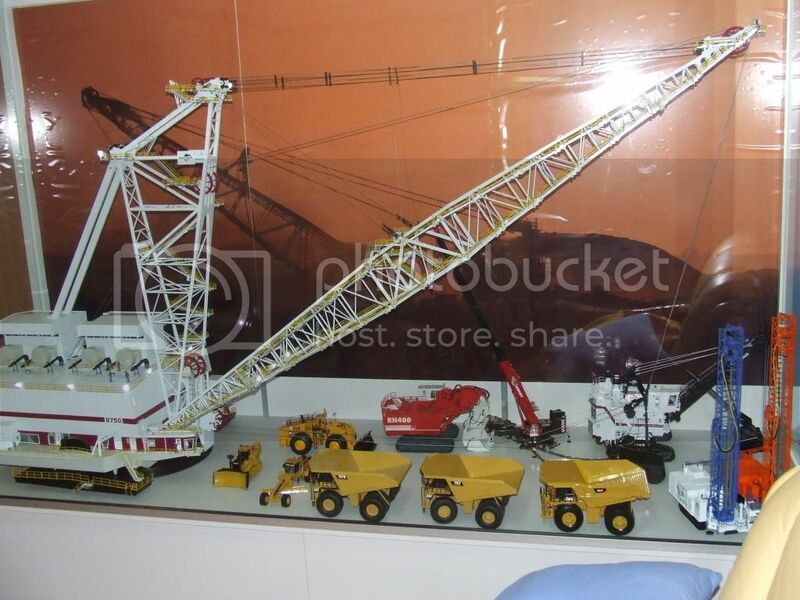 Those pictures really put the size of the model into perspective.